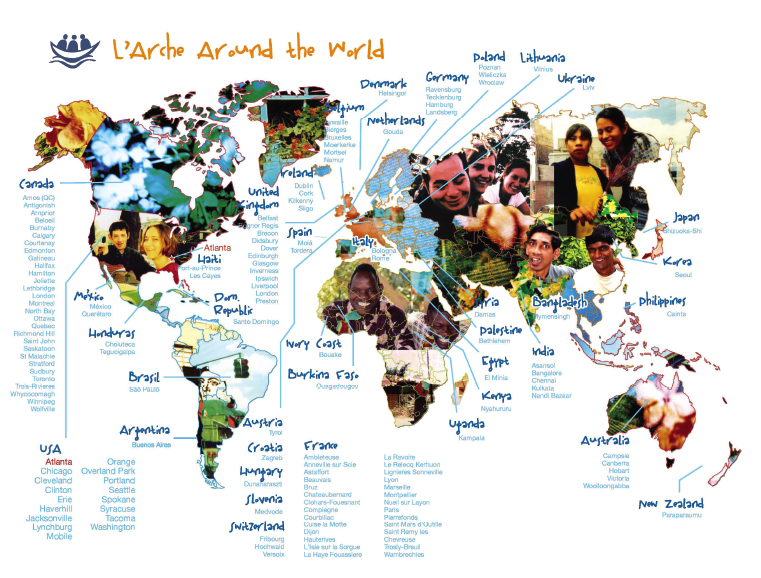 L'Arche Atlanta is one of over 140 L'Arche communities in over 35 countries around the world. The very first community was founded in 1964 in a small village north of Paris, France called Trosly-Breuil. There a man named Jean Vanier, moved by the conditions he had witnessed in asylums for people with developmental disabilities, invited two men to live with him. He didn't know at the time that he was starting a movement, but L'Arche had begun. Today there are L’Arche homes in all parts of the world—from Atlanta to Port-au-Prince, Haiti, from Zimbabwe to India, all united in the mission to build relationships among people with and without developmental disabilities. L'Arche International is a global leader in engaging, honoring, and celebrating people with developmental disabilities. The first U.S. community was founded in Erie, Pennsylvania in 1972. Today there are 18 communities throughout the U.S. in three regions. The communities work and play together throughout the year, with Regional Council meetings for Community Leaders, trainings for Boards of Directors, assistant retreats, and an annual Regional Gathering where core members, assistants, and leaders from all three communities come together for a weekend. L'Arche USA, the national organization, strengthens local communities, engages in advocacy work on behalf of those on the margins, and announces the gifts of people with developmental disabilities.